Feeding medicated milk replacers from birth to weaning to prevent and control pneumonia and scours in preweaned calves - a longstanding practice on many dairy farms - is about to change. According to Danielle Mzyk, a DVM/PhD candidate at North Carolina State University College of Veterinary Medicine and researcher for the Food Animal Residue Avoidance Databank (FARAD), more than half of all milk replacers used in the United States contain medication. Mzyk told attendees at the Dairy Calf and Heifer Association's annual conference that a 2007 study showed the share to be around 60%. But the FDA considers milk replacer a feed, and the agency's new Veterinary Feed Directive (VFD) will therefor impact the use of medications in milk replacer. 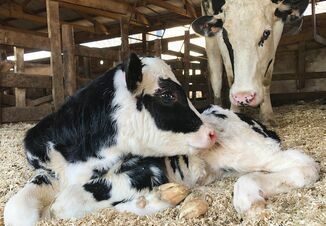 Mzyk said one change that already has occurred is that the combination drug of neomycin sulfate (brand name Neomycin) and oxytetracycline (brand name Terramycin) can no longer be used in a 2:1 dosage ratio in milk replacer. A 1:1 concentration now is required. Shared-use, medically important drugs that are used in human medicine will no longer be able to be used in non-therapeutic ways in food animals. Oxytetracycline and neomycin, often used in combination at low levels in milk replacer (as oxyneo, often called Neo-Terra [NT] on milk-replacer labels), are on the FDA's list of shared compounds that are considered medically important to humans. A VFD form, written by a licensed veterinarian with a valid Veterinary-Client-Patient Relationship (VCPR) with the farm, will be required to obtain medicated milk replacers containing oxyneo or either of the drugs individually. VFD forms will need to be renewed by the veterinarian every 6 months, and should be held by the farm for 2 years. A veterinarian's prescription also will likely be required for medicated milk replacers containing oxyneo, or either of the drugs individually. These prescriptions will need to be renewed every 6 months. Milk replacer products containing a 1:1 concentration of oxyneo at a low level of concentration (0.05-0.10 mg/lb. of bodyweight) intended for continuous feeding will likely become unavailable. Continuous feeding of any medicated milk replacer will no longer be allowed. Milk replacer products containing oxyneo in a 1:1 concentration at a higher dose (10 mg/lb. of bodyweight) will be allowed as a therapeutic application only, with administration limited to 7-14 days. 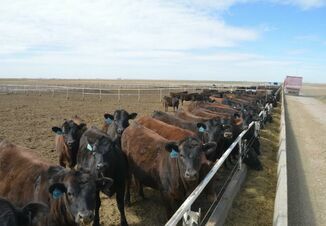 Medications in feed must be administered according to their labeled species, dose, duration and route of administration. Extra-label use is not legal, even on the order of a licensed veterinarian. Administering extra-label drugs by adding them to milk or milk replacer would be considered illegal, even with a veterinarian's prescription. In addition to antibiotics, this includes medications like meloxicam for pain management. Such products still could be given orally, separate from milk or milk replacer, with a veterinarian's prescription. Coccidiostats to control coccidiosis are not considered by the FDA to be medically important drugs in human medicine. They will not fall under the VFD regulations unless they are fed in combination with shared-use antibiotics. Mzyk advised the audience to begin working with their herd veterinarians to develop herd treatment and disease surveillance plans with the new VFD regulation in mind. The VFD goes into full effect December 13, 2016. To learn more about the VFD, a question-and-answer document from FARAD is available here.